Indians have never left any chance to be back when it comes to holding Guinness World Records. Here are some bizzare records which are proudly owned by Indians. 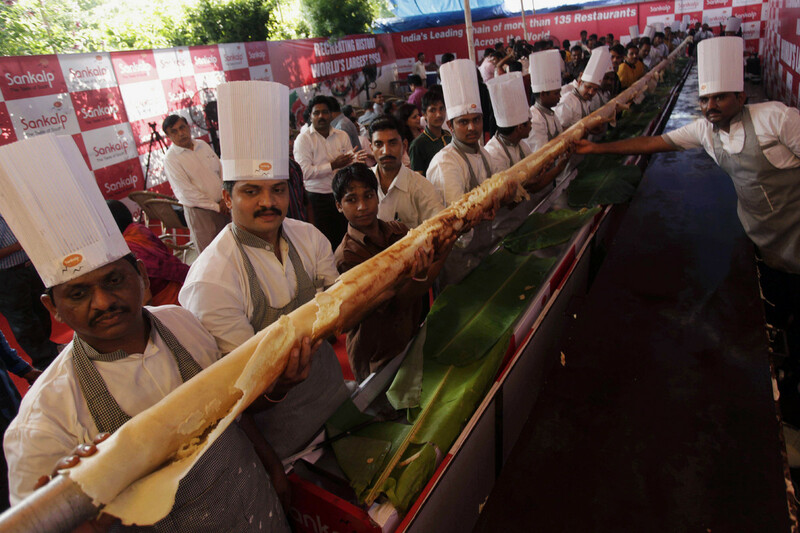 This is a 53 foot long dosa, South Indian dish displayed by its chefs at a Sankalp restaurant in Ahmadabad, India, 7th October 2013. The restaurant in ahmedabad claims to have made the world’s longest dosa in just 15 minutes. Ram Singh Chauhan from Jaipur 58 years old, is well-recognised for his 4.29 m (18 foot) longest moustache, and holds indisputable position in the Guinness World Records. It was measured on the set of Lo Show dei Record in Rome, Italy, on 4 March 2010. He has been growing it for 32 odd years. 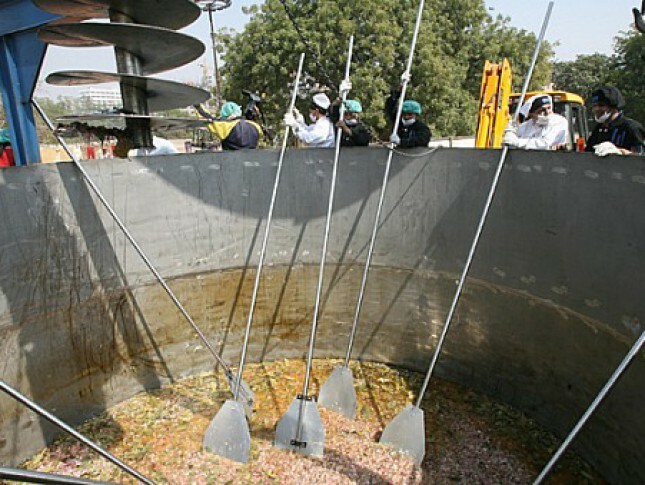 The hard work of 60 Indian chefs in New Delhi went into preparing world’s largest biryani dish which required as many as 12,000 kg rice and vegetables. 23-year-old Jyoti Amge was declared as world’s smallest woman, measuring 61.95 centimetres (2 feet). She has earlier held the Guinness World Record for being the tiniest female teenager alive. 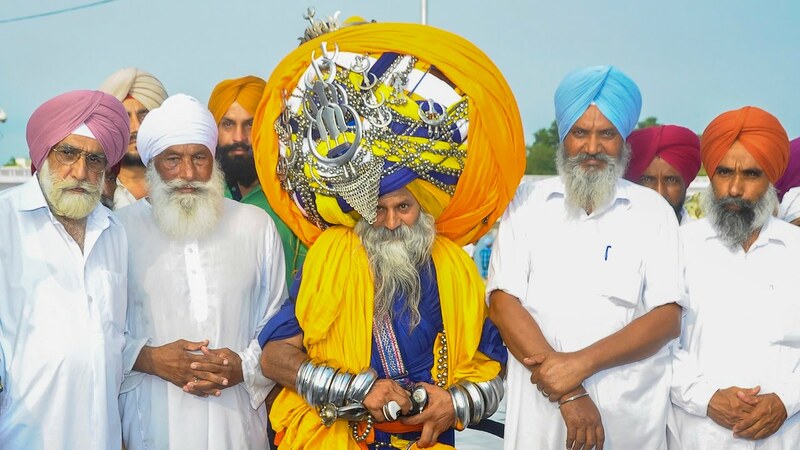 This 60-year-old man from Patiala, Punjab, Avtar Singh Mauni, holds the record for the longest turban in the world which weighs 100 pounds and is as long as 645 metres. 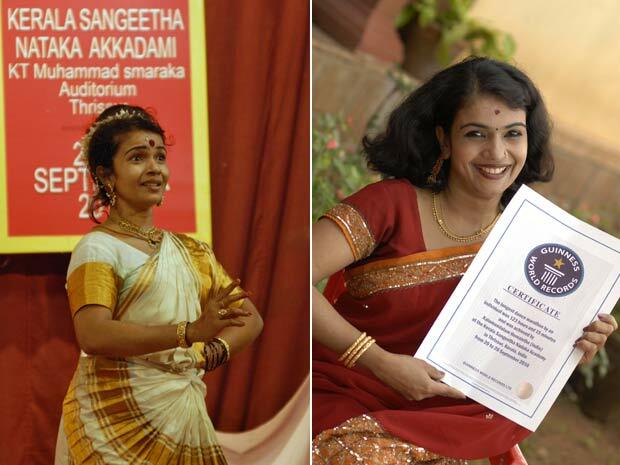 Kalamandalam Hemalatha 37-year-old Indian classical dancer went on to dance (Mohiniyattam) for 123 hours and 15 minutes at the Kerala Sangeetha Nadaka Academy holds Guinness World Records. Lucknow in India, holds the record for the world’s largest condom mosaic made out of 4,418 condom packets. The record was made by UPSACS, INDEX, IIM Lucknow and HLFPPT, and measures 6.09 x 3.04 m (20 ft x 10 ft). Event was organised to raise charitable funds for the poor by Thrissur Citizenry. The event that took place at Nagar Saktan Thampuran Ground, Thrissur, Kerala, India saw the largest gathering of people dressed as Santa Claus where count was noted of 18,112 people in all. Khurshid Hussain holds record of being the fastest person while typing only with his nose. While setting the record, Hussain typed a 103-character sentence in 3.43 seconds. He was asked to write, “Guinness World Records has challenged me to type this sentence using my nose in the fastest time”. December 7, 2014 volunteers seeking to set a Guinness Record formed the largest human flag formation at Nandanam YMCA ground in Chennai, India. World’s largest chapati was made by Shree Jalaram Mandir Jirnodhar Samitee organisation at Jalaram Temple, Jamnagar, and weighed around 63.99 kg. Jayasimha Ravirala broke the record for the maximum number of hugs given. In an hour, he hugged as many as 2,436 people in Tekkali, Andhra Pradesh. In this selfie-obsessed world, the record of maximum selfies clicked at once is proudly held by Indians. People from the Federal Institute of Science and Technology hold the record for taking the largest number of selfies or self-portraits – 1, 000 frames in one minute in their campus near Kochi. The wedding of Vanisha Mittal, daughter of billionaire Lakshmi Mittal, to investment banker Amit Bhatia was the most expensive wedding in the world. The total money spent on the wedding was a whopping USD 60 million. 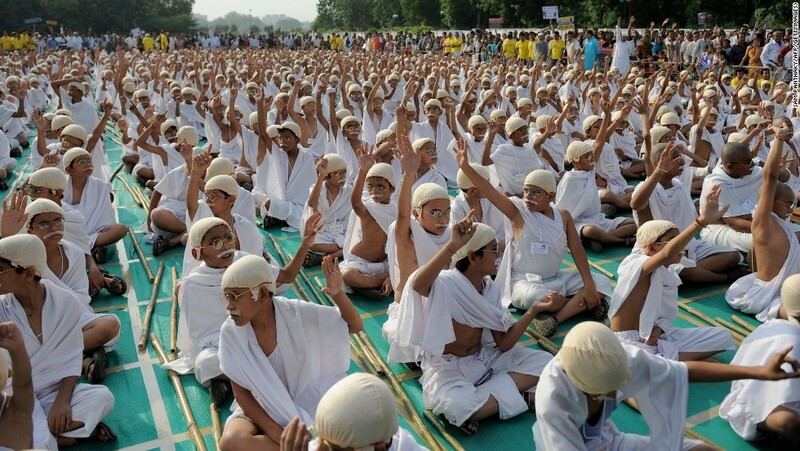 The largest gathering of people dressed as Mohandas Gandhi was 484 and was achieved by the children of T.R.A.C.K.S. Training Resource & Care For Kids (India) from Kolkata, India, walked as part of a peace march to make the record. on 29 January 2012. First Player To Score A Double Century In A One Day International Cricket Match is Sachin Tendulkar. 24 February, 2010 was an epic day in the history of world cricket and Tendulkar made all of us so very proud with his 200 runs made in 147 balls hitting 25 fours and 3 sixes. Were you known to these astonishing Guinness World Records before? Share the most unique ones with us in the comment section below. Also, please like and share if you found this interesting. India Must know about Homai Vyarawalla – One Of The Coolest And First Lady Press Photographer Of Our Country!! !